Greetings… from the beaches of Bali! Yeah, a few mai thais, beach naps, and healthy meals. Living and traveling abroad is one of the beautiful benefits of building an Amazon business. 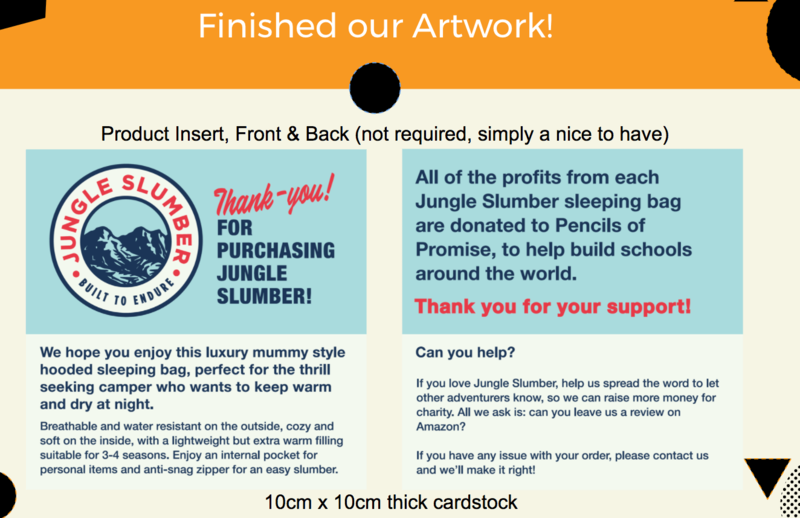 It still amazes me that I’m building a business and selling on Amazon UK while living thousands of miles away in Asia, and I will never touch a Jungle Slumber sleeping bag while selling these on Amazon UK! I am even connecting with my new BFF in China, Helen, while in Bali. Nice to be on a relatively similar time zone with my supplier! Method of Payment: Paid with a bank transfer (T/T) using Alibaba trade assurance. A nice bonus here is that we got a free inspection by using Alibaba Trade Assurance, due to a short-term promotion that they were running. So we will have the goods completed in the middle of November, right before the holiday rush! 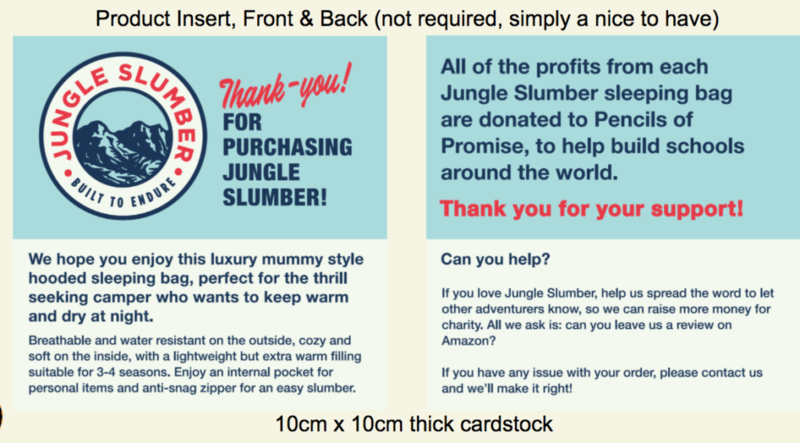 And as the UK winters can get a bit cold, no better time for a new cozy sleeping bag. These are designs that a designer on the Jungle Scout team did, but could have been done using a contractor from Upwork or Fiverr. So Greg handled your questions for the rest of the session. These questions covered a wide range of topics relevant to Amazon sellers, and I will also include additional links to other resources that we’ve covered previously that should help you. Opinions on a Canadian starting their first product, should I sell on the US or CAN market? Greg suggests to start where there’s the lowest barrier of entry. Though the US has greatest demand, there is also a lot of competition. The most important thing to do is simply get started, and then focus on growing into the larger or more desirable markets. The barrier to entry for different marketplaces varies. Europe is slightly more complicated in some ways, with things like VAT and business set up, but the competition is much lower, and it’s a good early time to get into these markets. I have lowered my price below the competition to start selling, my product is 4 euros lower than the best seller in the space and 8 lower than the most famous brand in this space. They all have over 100 reviews. Products are relatively the same. How many reviews do I need until I can increase my price? Pricing below the competition is a good strategy for getting the initial sales, reviews, and sales velocity (important in the Amazon organic search engine). Once we have 10 or 20 reviews, then it’s time to edge up the price. More important than the reviews though is overall sales velocity and number of sales. One thing to keep in mind, only adjust your prices every 3 days to a week, as opposed to changing it on a daily basis. It takes some time for Amazon to account for changes in price and sales velocity, and you need to allow for those changes to be accounted for. What are your views on selling low priced items with extremely high demand (Average monthly sales – 5000) and low competition? If you can make the profit margins work for you, then go for it. Sometimes with lower priced products (say anything below $10-$15), the profit margins may be slim. But if you can get the profit margins to work, then it is definitely a good option to launch with. Again, most importantly, do your research and get started! Greg covered the data science of Jungle Scout’s estimates in this post. So Jungle Scout’s sales estimates take the Best Seller Rank, Category, sales velocity, and various other data points that are tracked on a daily basis, to come up with a monthly sales estimate. 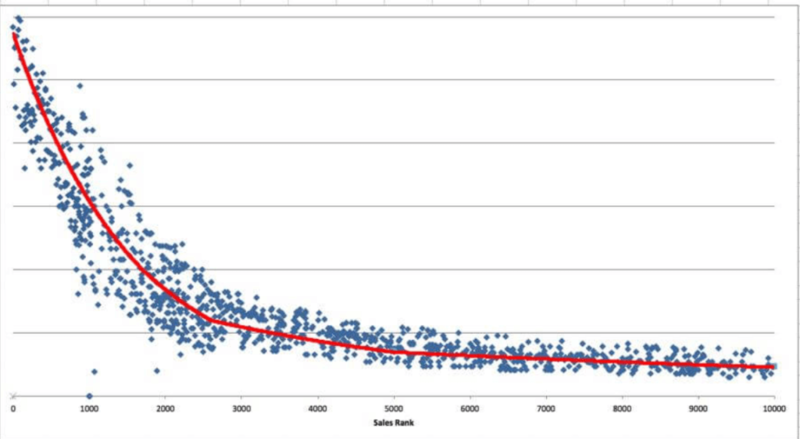 However, as the red line on the graph indicates, the estimate is simply that: an estimate. There is going to be variance between the estimate and the actual sales because not all products will obviously fall on this estimated curve. One thing to note, is that these sales estimate algorithms are being tightened up on a daily basis, by a full-time PhD in data scientist, and a team of developers and analysts who continue to track and refine the data that informs these estimates. We are going to write an updated post on the behind-the-scenes of the data estimates shortly, with some very exciting improvements, so stay tuned for that! What is the best stage to set up a corporation/limited company when selling on Amazon? The value of selling an Amazon product under a legal corporation is that you protect your personal assets. If a customer were to file a lawsuit against you for a mishap as a result of your product, you would be personally liable, and all of your assets, savings, and livelihood essentially. This can be scary. What is common is most sellers will start without a legal corporation, basically as a sole proprietor, and prove the concept before incorporating. Is it alright to send less than 20 items to the Amazon warehouse to test if the product is selling well? I don’t want to buy a huge number of amount of product that i’m not sure if it would sell. Is that a good idea? Sending in 20 products to test a product can be a challenge to get off the ground. You are really not leaving yourself any room to have units to give away to generate sales velocity and initial reviews. This can leave your product listing stagnating in the depths of Amazon’s pages, receiving no traffic. For our sleeping bags, we bought 1500 upfront, with plans to give away 75 via coupons and giveaways. The mindset is that we will invest in marketing and product launch costs upfront, so that we can build a long term business with this product. A common “lower” quantity for your initial inventory is 500 units, depending on the product. This is usually as low as manufacturers that you find on Alibaba will go, and it usually increases the cost per unit. Whilst it is possible to get lower quantities (for example on Aliexpress), it’s often too difficult to validate a product with such little stock. The trick is that we spent several weeks of thorough product research to validate that this was, in fact, going to succeed. So we have the confidence that this product will sell well when it is an active product on Amazon. While building a new FBA business, what do you think is better? Building a strong brand, which means products in the same niche, or building several brands in different niches? If you are only selling on Amazon, you don’t need a cohesive brand. This is because you have presumably chosen the product you are selling because there is existing demand (and people searching for the product), rather than your specific brand that they are searching for. In order to make your brand well known, you will need to invest significant time and resources outside of Amazon to have that brand awareness. Furthermore, if you limit yourself to one particular niche in building your brand, then you are stuck with products that may not work. So for example, if we decided to build a brand around Jungle Stix, the bamboo marshmallow sticks, it could have been in the outdoor cookware niche. But then we may be forced to sell items that do not actually have the demand and could have been a difficult business to build. Instead, we chose a completely unrelated product in baby hooded towels for our second product and it has been doing quite well thus far! Even though we’re selling marshmallow sticks and hooded baby towels, products from entirely different niches, we can still sell them both under the same umbrella brand. This is useful if we wanted to get a single trademark registered, and access the Brand Registry for a variety of products. Why choose JS over other competitors? Accuracy – As mentioned above, there is no other company in the industry that invests as much in data science and data integrity–this is reflected in the accuracy of the sales estimates and algorithms. Largest product catalog – In the Web App’s Product Database, there are tens of millions of products, categorized by dozens of various metrics which you can slice and dice to find the ideal product opportunity. You are not going to see this robust of a product catalog elsewhere. Most frequent updates – A team of 35+ people work incredibly hard to release new software updates, educational content, and feature releases. Best customer support ever – 20 hours/day, 7 days a week. You can always get an answer to your question, regardless of what the scope as it relates to Amazon. Best User Experience – The user experience is fast, efficient, and, well, more beautiful than ever! The original product research tool – Therefore, we have had the most time to gather historical data and formulate sales estimate algorithms, as well as collect the most historical data. You can read a little more about why Jungle Scout is the best tool to have as your partner in Amazon business here. When I looked for manufacturers on Alibaba to request quotes from, I was only able to find two and one was actually a trading company. What would be your advice in a situation like this? Greg suggests contacting both suppliers that you find and take it from there. Alternatively, you can think about suppliers who may make similar and complementary products, and see if they can also make the product you are looking for. 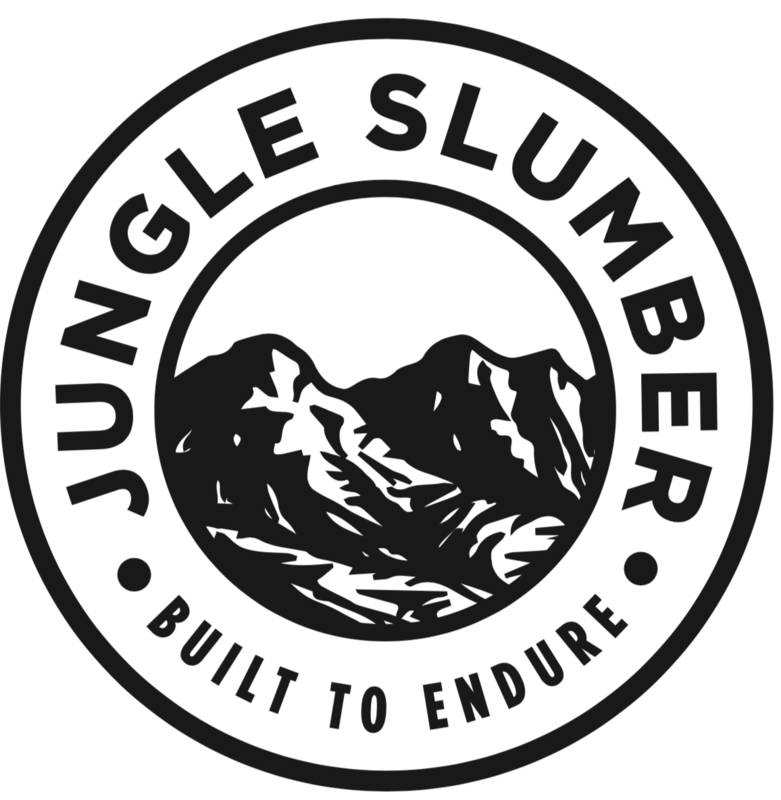 For example, with the sleeping bags, you could try a supplier who makes jackets as there is a similar manufacturing process. Otherwise, possibly move on to another product where you can find suppliers who produce the product you need. We actually had a guest on back in Session #4, Manuel, who said he frequently uses trading companies, and that they can be viable supplier options, provided they aren’t quoting prices that are too high and eat into your margins. 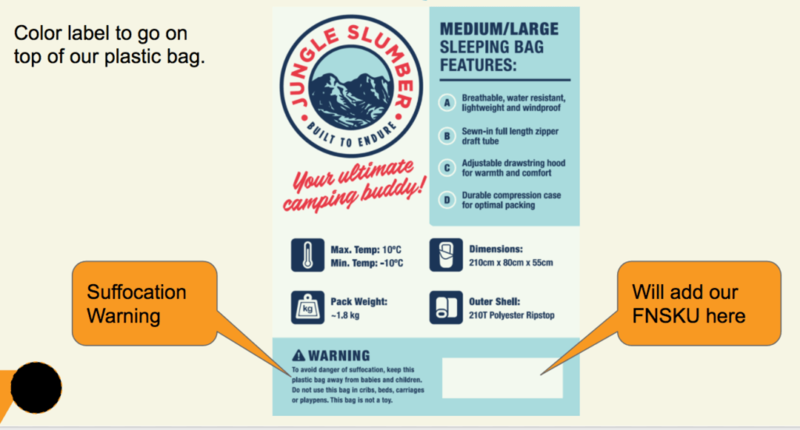 Greg’s advice to me when sourcing my Sleeping Bags was to look for manufacturers instead of trading companies, of which I was able to find a few suitable suppliers and the supplier I chose to order from. There were also a whole host of trading companies, some of which gave reasonable starting quotes. In this case though, if you can only find two suppliers period, then it might be a too risky to move forward! Is it viable to use Facebook offer/giveaway groups to hand out coupons & generate product reviews? For Jungle Snugs, we have tested this process. We would run highly targeted Facebook ads offering coupons for a discounted baby towel. We could get it down to about $0.70 per sign up, and 1 in 4 who took the coupon would actually purchase the product on Amazon. So ultimately it took us $2.80 (ie 4 facebook sign-ups for every Amazon purchase) to get a purchase. By comparison, we have also obviously used Jump Send as a platform to distribute coupons and run automated email campaigns. For a flat fee of $29, we are able to give away unlimited coupons and get a better conversion rate of customers who also leave a review. If we used the Facebook distribution method, we could only get 10 sales before we had spent more than that $29. So it is cheaper, more reliable, and more efficient to use a coupon distribution service. What is the most important thing you have to take care of when you create your listing? 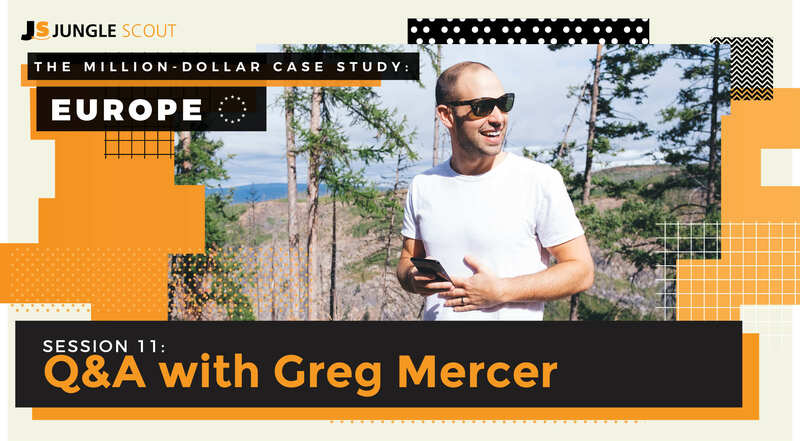 There’s certainly a lot that’s important when creating a listing, but Greg suggests that the most important thing is keyword research: knowing what search queries your customers will be using, what alternative search queries will be, and how you can incorporate them into your listing in a strategic way. What’s the easiest way to ensure an existing product you’re sourcing from a supplier isn’t a copycat product and not infringing on U.S. patents? The easiest way to do this is a quick search online. Certainly rather straightforward advice, but also what the intellectual property lawyer recommended as a first step in doing this research. Google has a patent search engine, aptly named Google Patents. There is a lot more information in the session that we did with the lawyer, which you can read about it at this link here. As always, if in doubt, consult a professional, but it certainly does not hurt to do your own research. What do I do if my Advertising Cost of Sale is over 100%? In the next week’s session, we covered advanced Amazon product photography. This is a crucial aspect to creating a great listing, as it will increase the clicks that you receive to your site, and ultimately improve your conversion rates. This session will be especially helpful because we will include some tactics to show you how you can do this on your own, without necessarily spending on a professional photographer (which I think is a great investment to make, if you have the resources). It’s true that I do work for Jungle Scout. However, I have now launched a product myself (I did all of the work) as part of this case study. I also manage the Amazon Selling business that we have built for these case studies. The only difference is that this Amazon business was developed for the purposes of these case studies, and that we are sharing all of the details with you and our audience so that you can get a real view of what the process really looks like – and the profits from the product sales are being donated to charity. Thank you for your great work, it’s just insane the value your articles/videos can bring for us. I have a question related to banking services, I heard that a lot of Amazon sellers use banking services like Payoneer or N26 to avoid fees (or minimize) on conversions, do you have any advices on that? I’m living in Europe. For sure, many sellers who are selling internationally (so, not in their own country) are using services like Payoneer, World First and other modern banking solutions. This can help you to reduce the amount you spend on converting your currency. For example, if you live in Europe but sell in the US, then Amazon will pay you in dollars. Having a service like this enables you to have a US bank account, and they usually offer much more favorable fees and conversion rates to transfer your earnings to your own personal bank accounts. This is also great because you can keep some of your revenue in dollars (useful for paying Amazon fees, suppliers or any third parties you have to pay in dollars). I’m enjoying catching up on the Europe MDCS! Love all the great work! I had a question for Kym/Greg, and I haven’t heard it talked about in the webinar videos I’ve watched: Amazon requires sellers to have commercial liability insurance. The few companies I approached seemed to freak out at the idea that I was manufacturing/importing goods to sell online. Any insights on finding a good insurer ? Any recommendations for US and Europe sellers? Interesting question! I don’t actually know the answer to this one but I will let you know if I find out anything useful. Have you spotted anything about this in Amazon’s TOS? I think, technically, any business is supposed to have commercial liability… however, I am also pretty sure most sellers (especially those starting out with just a few products) don’t have this. I’m also not aware of Amazon enforcing this as a requirement in the US or Europe from my experience. It’s definitely advised to get insurance with your Freight Forwarder for your shipping, should anything go wrong. But that’s a different kettle of fish.